Nobody should have to face going hungry and a great many people in crisis, are turning to food banks when there is nowhere else to go. Many families in the local community face the prospect of going hungry and food banks offer a lifeline to those in need. When families are referred to the local North Liverpool Foodbank the staff there provide them with much needed help and support. 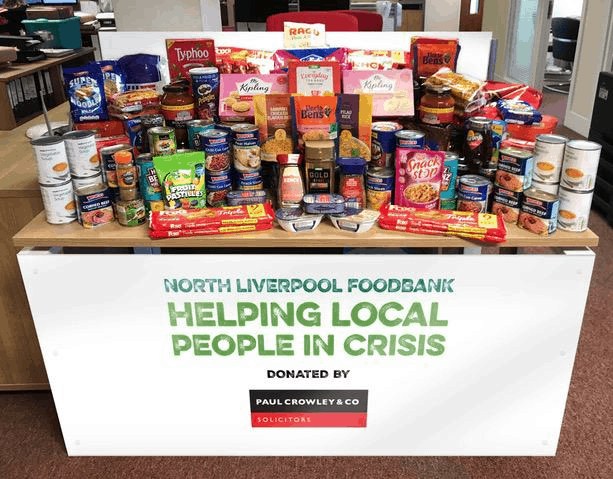 Paul Crowley & Co director Dan Griffiths, who has been working closely with both the North Liverpool Foodbank and Fans Supporting Foodbanks has organised a food bank donation on behalf of the directors and staff at the law firm. The food donated has been sent to the local north Liverpool distribution centre based at the Holy Trinity Church on Breck Road in Anfield. The food bank is part of a nationwide network of food banks, working to combat hunger and poverty across the UK. The food that people donate to the food banks really does help to support those who are most in need. In order to get help from your local food bank you will need to be referred by a frontline professional, this can be your doctor, a health visitor, a social worker or the Citizens Advice, who will make a referral on your behalf by issuing you with a food bank voucher. The referral system ensures you are provided with appropriate help and support for your situation. You can exchange the voucher at your nearest food bank for a minimum of three days’ emergency food. 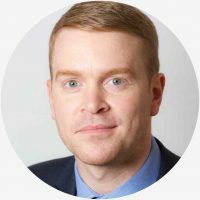 The food banks are designed to provide short-term, emergency support, their aim is to relieve the immediate pressure of the crisis by providing food, while also providing additional support to help people resolve the crises that they face. There are food banks situated across the country, you can find your nearest food bank here. Paul Crowley & Co Solicitors are proud to be partnered with Fans Supporting Foodbanks and continue to support the North Liverpool Foodbank.